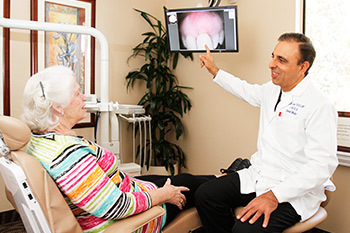 About the Practice | Orange County Periodontists | Ajay B. Setya, DDS, MSD Robert C. Hirst, DDS, MS Christen S. Bergman, DDS., MS.
Our doctors and staff are dedicated to providing you the best periodontal treatment using advanced technology in a friendly and caring environment. Our practice was the very first periodontal practice to open in Mission Viejo. Dr. Robert Hirst founded the practice in 1976 after serving in the US Navy Dental Corps. Dr. Ajay Setya joined Dr. Hirst and took ownership of the practice in 1997. 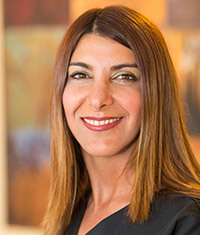 Together, along with Dr. Christen Bergman, they provide expert comprehensive periodontal services to the residents of south Orange County. As a periodontal practice, we are specialists in the treatment of anything to do with the gums and bone surrounding your teeth. Our services include gum disease treatment, replacement of lost bone, gum grafting for receding gums, cosmetic gum treatment and full dental implant services. Dr. Setya, Dr. Hirst, and Dr. Bergman have decades of experience in comprehensive gum treatments. Dr. Setya is also an expert in dental implants and holds numerous advanced certifications in dental implantology. He also teaches advanced implant procedures and comprehensive periodontics to practitioners at seminars in the U.S. and abroad. Our doctors and staff work together to provide you state-of-the-art treatment in a caring and friendly atmosphere. Our staff are very friendly and helpful and do everything possible to make your visits efficient and comfortable. Dr. Setya, Dr. Hirst, and Dr. Bergman are attentive and really listen to your concerns. They thoroughly explain procedures so you know what is going on and can feel at ease. The dental Cone Beam computed tomography (CT) machine is a special type of X-Ray machine that will generate a 3-D image. Our doctors use cutting-edge technology to ensure the best possible results and to make your treatments more efficient, comfortable and minimally invasive. Our digital X-rays are clearer, faster to produce and emit far less radiation than standard film X-rays. 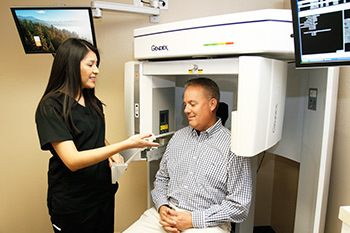 Our cone beam 3D CT scanner produces 3D images of your entire jaw bone and all your teeth. With these images loaded into special software, Dr. Setya can precisely plan your implant placements and any needed bone grafting ahead of time. This makes the procedure very accurate and minimally invasive. Our dental laser and micro-instruments are much less invasive and more precise than standard surgical instruments and are used when needed in our gum disease treatment, gum recession treatment and cosmetic gum treatments. Dr. Setya, Dr. Hirst, or Dr. Bergman will work with you to achieve the best results. Dr. Setya, Dr. Hirst, and Dr. Bergman expertly treat gum disease and are specialists at saving teeth and restoring gum health. In addition to scaling and root planing to remove the bacteria that cause gum disease, they use antibiotic therapy, perioscope, laser disinfection and bone grafting when needed to thoroughly wipe out the infection and rebuild support for your teeth. With these advanced treatments they can preserve many teeth that before would have been impossible to save. 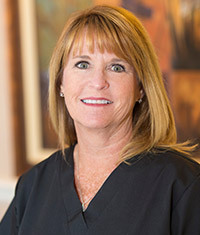 For gum recession, our doctors use minimally invasive procedures to graft new gum tissue over your exposed tooth roots and restore the natural gum line around your teeth. For an uneven gum line or a “gummy smile,” Dr. Setya, Dr. Hirst, or Dr. Bergman gently remove the excess tissue and re-sculpt the gums for a natural-looking smile. We make comfort a top priority in our services and do everything possible to ensure your treatments are as easy on you and as pain-free as possible at all times. Our minimally invasive treatment methods are very efficient and cause minimal post-operative discomfort. To aid healing we and add growth proteins to surgically treat tissues to speed healing time, prevent infection and reduce pain and swelling. Our ultrasonic scalers used for cleanings are adjustable for patient comfort. 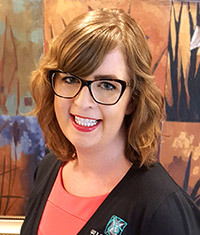 Dr. Setya, Dr. Hirst, and Dr. Bergman always make sure you completely understand and feel at ease about what is going to happen before they start any treatment. And to make your treatment more comfortable in the chair, we provide pillows, blankets, and iPods with music. We also have sedation options for heightened anxiety or long procedures. Dr. Setya can give you implant-supported full-arch replacement teeth that are stably fixed in your arch, have near full biting and chewing power, look totally natural and won’t irritate your gums or slip. In the vast majority of cases, Dr. Setya can perform the entire procedure for both arches at the same time and have you walking out with your new teeth the same day. 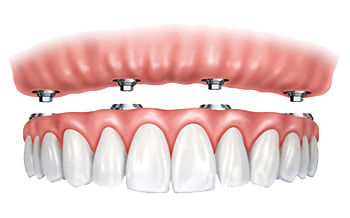 The procedure is known as “All-on-Four” because only four to six specially-designed implants are needed to support an entire arch of new fixed-in teeth. Learn more about All-on-Four New Teeth in a Day here. “Dr. Setya was very personable. He took the time to thoroughly explain every step of the process, including the recovery time. The staff, dental assistants and lab technicians were very friendly and professional.